During LGBTQ history month, we’re celebrating the lasting influence that film has had on LGBTQ+ lives. Joel Edgerton's Boy Erased—which opens in select theaters on Friday—will bring a important new story to this history. Starring Lucas Hedges, Nicole Kidman, and Russell Crowe, Boy Erased recounts the struggles of a one young man to find his true identity after being pressured into conversion therapy by his family. Thirteen years ago, Brokeback Mountain made history itself. In 2005, Dave Cullen was a writer in Colorado interested in changing the political climate for LGBTQ+ people. For him, Ang Lee’s Brokeback Mountain proved instrumental to him both personally and politically. As a gay man, watching Brokeback Mountain was a deeply emotional experience. His website, the Ultimate Brokeback Forum, created a safe digital space for an immense community of other people deeply moved by the story of Ennis Del Mar (Heath Ledger) and Jack Twist (Jake Gyllenhaal). Cullen has gone on to have a remarkable career as a journalist, writing for everyone from The New York Times to Vanity Fair to The Washington Post. 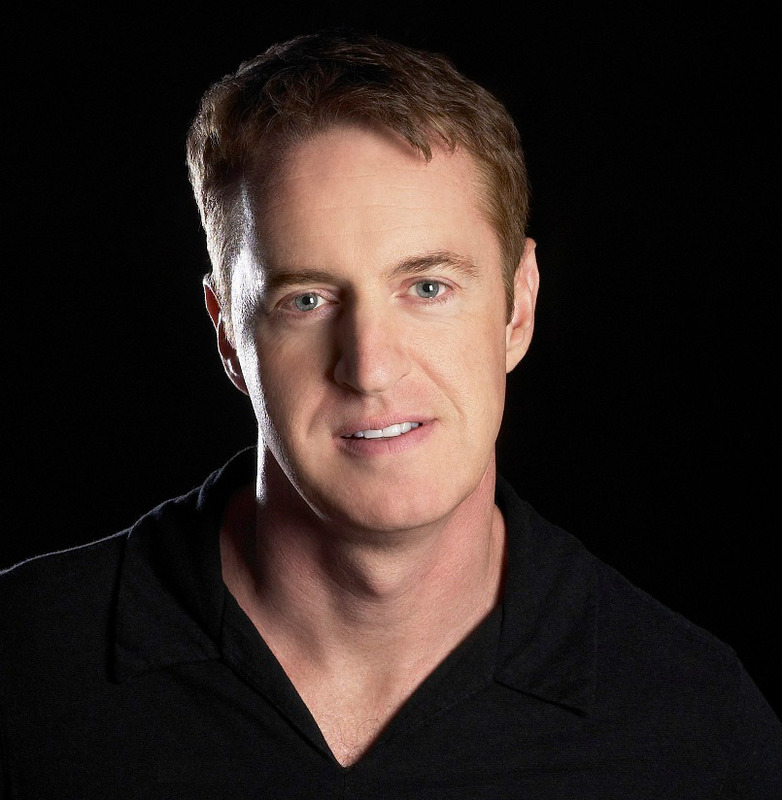 His 2009 non-fiction book Columbine became an award-winning bestseller. His new book, Parkland: Birth of a Movement, is due out next year, and he is also finishing his long-term project, a book about gay soldiers. We spoke with Cullen about what Brokeback Mountain meant to him when he first saw it, why he created the Ultimate Brokeback Forum, and why the film still matters today. Get tickets to see Boy Erased today. Get Brokeback Mountain now on iTunes or at Amazon. See the official trailer for Boy Erased. Can you remember when you first saw Brokeback Mountain? I had avoided reading Annie Proulx’s original story in The New Yorker story, but I knew about the film because I was already working on the website. The experience of watching it the first time was so much more than I had expected. I started crying about 20 or 30 minutes in and barely stopped until the film’s end. The experience unlocked a range of things, many more than I even realized were inside me. Living in Denver, right next to the Rocky Mountains, did you relate to the story’s Western world? While I didn't grow up in Colorado, I had been there for about ten years. So, yes, part of it was that, because living in Denver and being gay was still sort of taboo. My boyfriend at the time was scared to hold hands in public, even in the gay section of Denver where we lived. But the bigger point of connection for me was having been in the army. I was not openly gay in the military. I never touched a man until I was 28 partially because it was still too horrible to come out, even to myself. Seeing such an iconic profession, like cowboys, being represented in the move was very powerful for me. In the fifties, maybe it was ok to be a swishy hairdresser or a flight attendant, but being a cop, a fireman, a soldier, or a football player—that was totally unacceptable. I don't think straight people were really comfortable with stories messing with the icons of what it means to be a man. So having to cowboys up there on the screen was very much like having two soldiers, something that was very personal to me. Were there stories of gay soldiers that you related to? The book I’m finishing is about two gay soldiers, who I’ve been following for decades. Remembering their stories about how they had to hide, how one had to get married to a woman—it was all so familiar. Watching Brokeback Mountain, I was thinking about them and myself and thinking, "This is us too. This is me." I was just as deprived because I was just as scared as Jack and Ennis. How did your website come about? The website began before I actually saw the film. I really believed that there was going to be a moment when Hollywood would start supporting gay stories. But it was going to take a breakthrough film for that to happen. For years, I watched the development of Brokeback Mountain, like when there was the first mention of its production and then when Gus Van Sant was attached. Then I heard Ang Lee was going to direct—I was a huge fan of Crouching Tiger, Hidden Dragon—and Jake Gyllenhaal and Heath Ledger were going to star. When it won the Golden Lion at the Venice Film Festival, I felt that I should do something to support it. This could be the film that changes everything. I decided to create a page on my blog site called the Ultimate Brokeback Guide, which included all the information I could find about the film, the actors, and the filmmakers. How did the site change over time? The site I was using provided a comment section that allowed about 300 comments on a thread, something I had never maxed out before. A week after I started the site, the comment section got full. I created another thread, and then that maxed out too. Soon the section would max out every four hours with me having to create another thread with a link to a new thread. It was a lot to handle. Then people started volunteering. This woman in San Francisco helped me create a whole new discussion forum site. She found all these people to help moderate the discussions. One guy researched other sites and did all the coding. Right before Christmas, we launched this new site with all these discussion threads. The site became self-perpetuating with so many people coming to visit and so many people helping out. I think many people after seeing the film just wanted a place where they could talk about it. Initially I wanted to help the film, but I realized later it was the fans who needed me and the site. 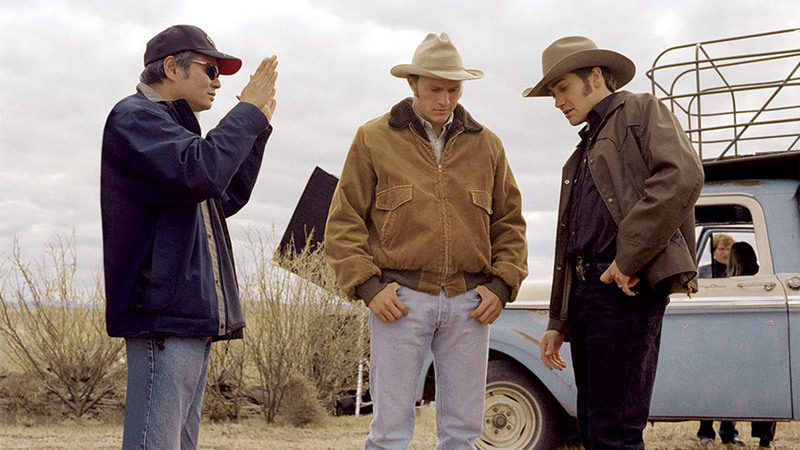 Ang Lee directs Heath Ledger and Jake Gyllenhaal for Brokeback Mountain. Now more than a decade later, how do you think Brokeback Mountain changed you? I have only watched it twice. It was so emotional when I watched it the first time. It wasn’t until I was invited to a 10th anniversary screening at New York’s Museum of Modern Art that I saw it again. But the movie still opened something up in me. After Columbine was such a big success, my agent told me that me that a writer makes the real money on the second book. I really wanted to do the gay soldier’s book next, even though I was told there would not be as big a market out there for it. Brokeback was my inspiration. The filmmakers went for it because it was the right thing to do. I needed to write the book that I felt was important for me to do. Every straight guy who has tears welling up when they see Brokeback is forever changed. I told my family members that I had one request for Christmas that year, that they all watch this film. I knew that things would be different between my family and me. And most of them did. Remarkable films about real families, from Boy Erased to Away We Go, for Thanksgiving.